. . .where the healing begins! A COUPLE who experiences TENSION and constant ARGUMENTS? Already in a GOOD RELATIONSHIP, but want it to be better? SINGLE and haven’t found a LASTING, LOVING RELATIONSHIP? If ANY of these describe YOU, you now can have HOPE! You deserve to experience love, intimacy, connection and romance, as well as to have a fulfilling, loving Relationship! The problem is that people no longer have the necessary skills and knowledge to achieve a successful, committed relationship in these days. Singles usually think the solution is to keep looking for the “Perfect Partner!” Couples often think that if only their partner changed or that divorce is the only solution. Sadly, none of these strategies will create happiness and fulfillment in a relationship, but usually result in only more despair and loneliness! Additionally, divorce takes a toll on the whole family. Carol can provide many answers to the complexity of your relationship and teach you the skills you need to help you overcome the barriers to your fulfillment and happiness! CAROL’S SINGLES’ PROGRAMS ~ for Singles wanting to Attract & Keep the Partner of their Dreams! 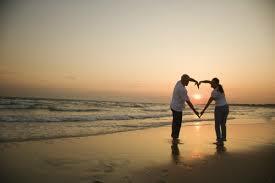 CAROL’S COUPLES’ PROGRAMS ~ for Couples who want to create the Relationship of their Dreams! About Carol: Carol A. Anderson, MS has been a Licensed Marriage & Family Therapist for over 24 years and married for over 46 years! Carol has extensive training, experience and expertise in Singles’ & Couples’ Relationship Coaching & Therapy. As an Imago Relationship Therapist, a Certified “Getting the Love you Want” Couples Workshop Presenter and “Keeping the Love You Find” Singles Workshop Presenter, she has helped thousands find, create and keep the relationship of their dreams! Why not let Carol help YOU Begin the Journey to the Relationship of your Dreams! 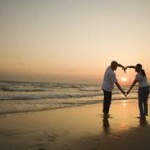 Begin the Journey to the Relationship of Your Dreams! Thanks for your interest in joining my mailing list. I respect your privacy! Your info will be kept confidential and never shared. Please complete the information below and click Sign Up for my updates.